MOVE fitness training provides individualized workouts designed to help you fulfill your potential, no matter where you are in your life. 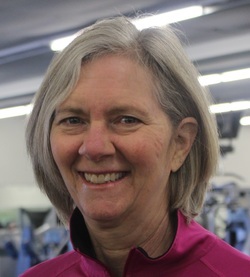 With 25 years experience in personal training (ACSM Certified Exercise Physiologist), we utilize ACSM approved protocols for cardiovascular and strength training, balance exercise and flexiblity training. We specialize in post joint replacement and stroke exercise, weight loss, back strengthening (utilizing back and osteoporosis safe exercises), circuit training, youth training, and outdoor training. At MOVE we strive to make each workout, whether its 30 minutes or an hour, productive and fun. You'll work one-on-one with a certified trainer to learn to exercise safely and efficiently to attain maximum benefits from each workout. Our immediate feedback will provide you with needed reinforcement and motivation. Our trainers utilize a variety of equipment including free weights, machines, kettle bells, resistance tubing, medicine balls, and more. Locations: MOVE Fitness Training uses the facilities at Vanguard Key Club in York Maine, your home, or the trails/beach/park. Workouts are tailored to your individual interests. Read about MOVE Fitness Training at www.ideafit.com/profile/heidi-oliver-pike.